The devastating consequences of the slave trade in 18th century are explored through the powerful but impossible attraction of well-born Frances and her slave, Mehuru. From the bestselling author of The Other Boleyn Girl. Bristol in 1787 is booming, from its stinking docks to its elegant new houses. Josiah Cole, a small dockside trader, is prepared to gamble everything to join the big players of the city. But he needs ready cash and a well-connected wife. An arranged marriage to Frances Scott is a mutually convenient solution. 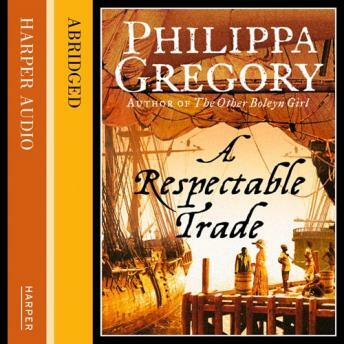 Trading her social contacts for Josiah's protection, Frances enters the world of the Bristol merchants and finds her life and fortune dependent on the respectable trade of sugar, rum and slaves. Once again Philippa Gregory brings her unique combination of a vivid sense of history and inimitable storytelling skills to illuminate a complex period of our past. Powerful, haunting, intensely disturbing, this is a novel of desire and shame, of individuals, of a society, and of a whole continent devastated by the greed of others.